FLC is an integrative regulator of flowering in Arabidopsis thaliana. The expression of FLC gene is regulated by epigenetic control via histone modification. Plant homeodomain (PHD) finger is a sequence-specific histone binding motif evolutionary conserved in eukaryotes. It has been known that PHD finger proteins play a significant role as a regulator of epigenetic gene expression. In this study, we investigated the role of an Arabidopsis PHD finger protein homolog, named PFP (PHD finger domain containing protein). Phenotypic analysis using a loss-of-function line of PFP (SALK_034619) showed early flowering as compared with the control (Col-0) under long-day condition that promotes flowering, suggesting that PFP is essential in the flowering repression of Arabidopsis. The analyses of major flowering regulatory gene expressions (FLC, FT, CO, FCA, FLK, FLV, EBS, TFL2) indicated that the expression of floral repressor FLC was decreased, while the one of floral inducer FT was increased in the SALK_034619. 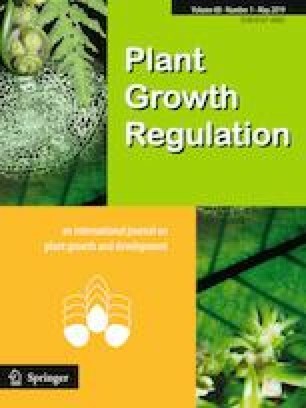 On the contrary, in the transgenic Arabidopsis overexpressing PFP, the flowering time was delayed and the expression pattern of flowering regulatory genes was reversed in which FLC was upregulated and FT was downregulated, suggesting that PFP is sufficient to regulate flowering regulatory genes. Based on these results, we conclude that PFP controls flowering time by suppressing the upstream of major flowering regulatory genes via FLC expression in Arabidopsis. The online version of this article ( https://doi.org/10.1007/s10725-019-00487-1) contains supplementary material, which is available to authorized users. We thank Dr. H. Tagami for help in preparing the manuscript. This work was supported by a grant-in aid for Research in Nagoya City University, Japan. Shen Y, Conde E, Silva N, Audonnet L, Servet C, Wei W, Zhou DX (2014) Over-expression of histone H3K4 demethylase gene JMJ15 enhances salt tolerance in Arabidopsis. Front Plant Sci 5:290 (eCollection 2014). https://doi.org/10.3389/fpls.2014.00290.